Apologetics Press holds the copyright to each Christian Evidences Study Course series. Under that copyright, we are happy to grant permission for lessons, questions, and answer sheets to be downloaded and printed in their entirety, as long as the following stipulations are observed: (1) Articles may be reproduced in electronic form for posting on Web sites pending they are not edited or altered from their original content and that credit is given to Apologetics Press, including the web location from which the articles were taken; (2) the series, in whole or in part, may not be offered for sale or included in any items offered for sale. 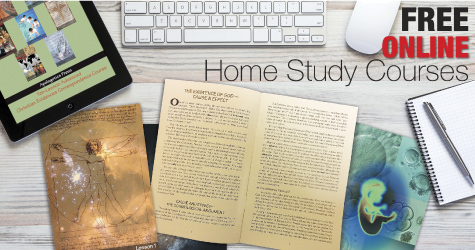 Lessons in the Christian Evidences Study Course series have been placed in an Adobe Acrobat PDF format for inclusion on our Web site so that they may be viewed and/or printed exactly as they would appear if purchased from our catalog in printed form. You can also purchase hard copies of these courses from our web store HERE.